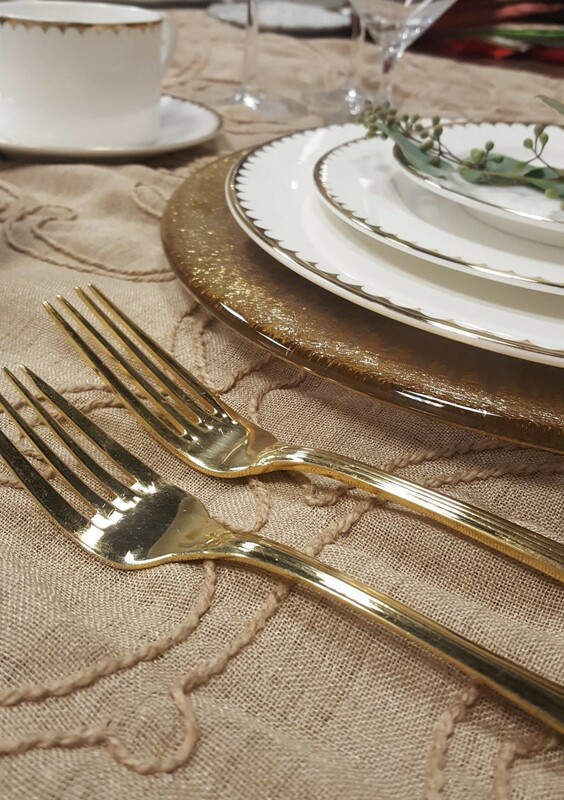 Shiny & New: Set the Table, Just in Time for Thanksgiving! 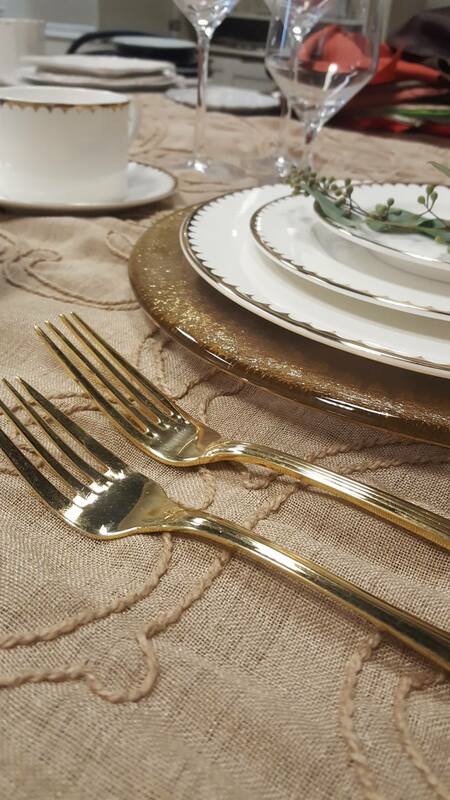 Dishes, flatware, china and more! 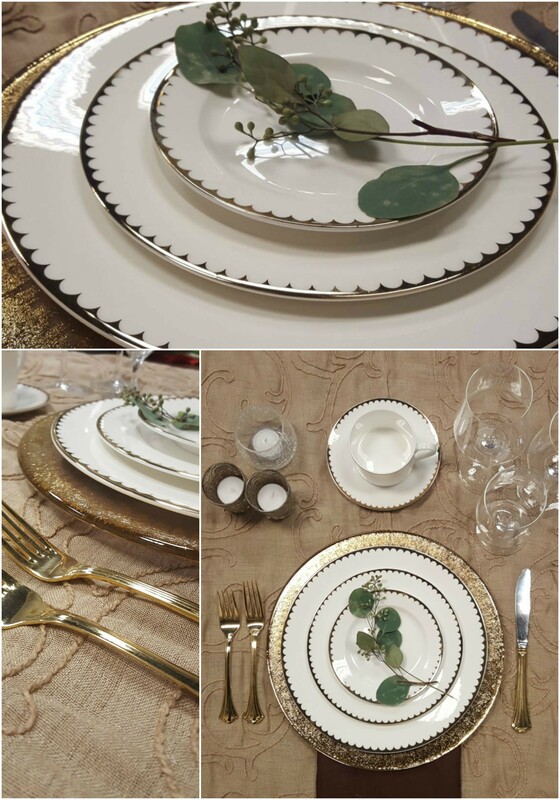 All new at Design Works, we can help you create that unforgettable Thanksgiving table set you’ve been dreaming of. 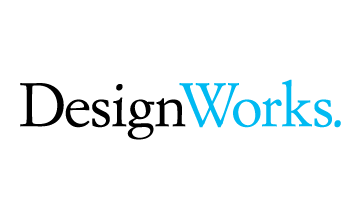 We thought we’d sneak in one more fall blog before the Holidays take over. 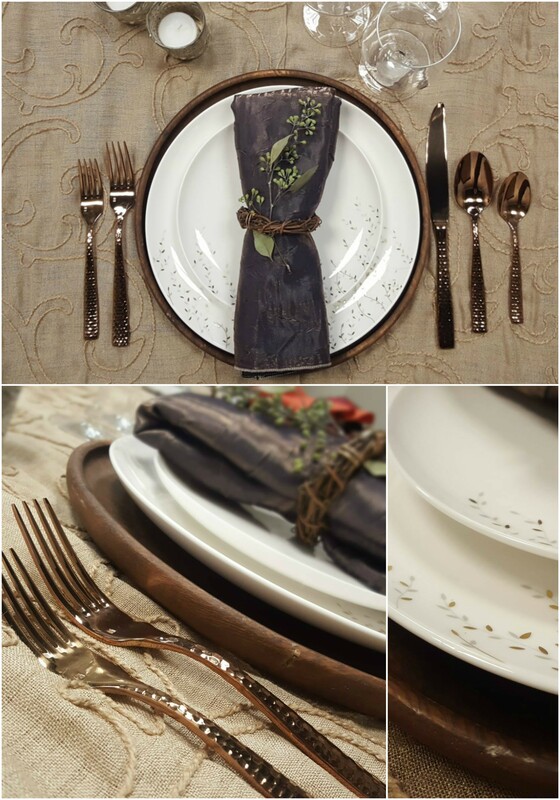 For an understated, contemporary style, check out our Jasmine line. 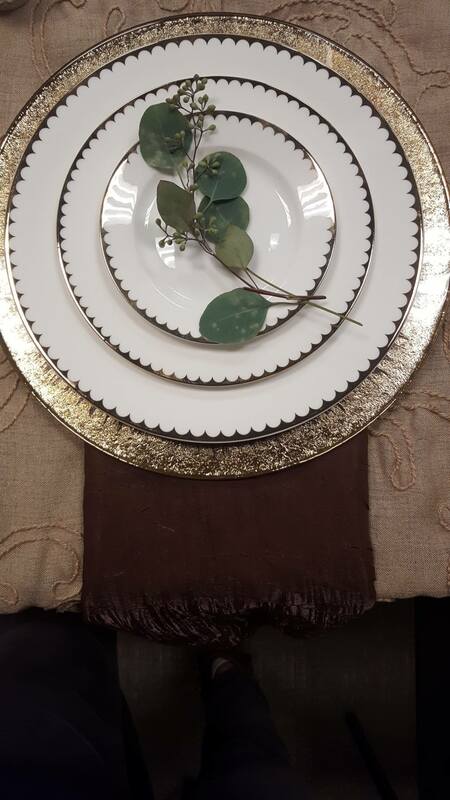 We added a wood charger to soften the overall look of our table set. 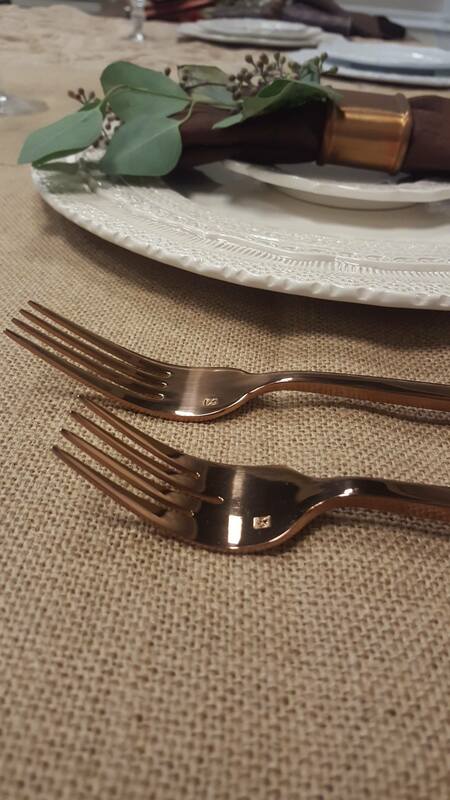 Paired with our lucca faceted rose gold flatware, this set is sure to wow your guests. 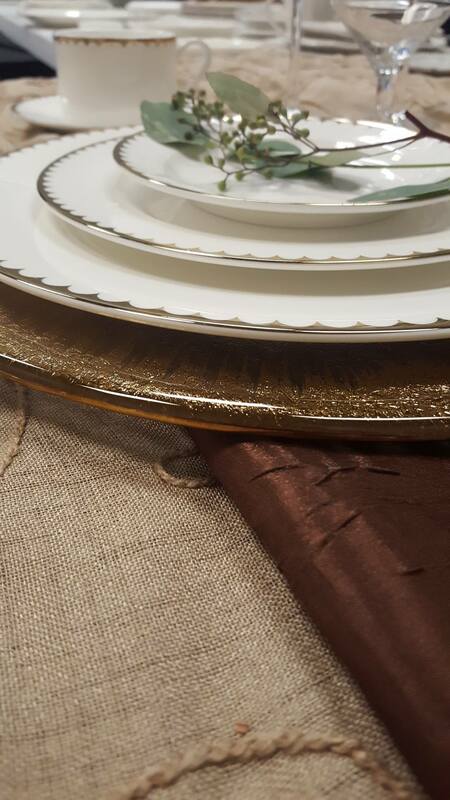 For a fun and whimsical approach to gold banded dinnerware, take a peek at The Dutchess line. 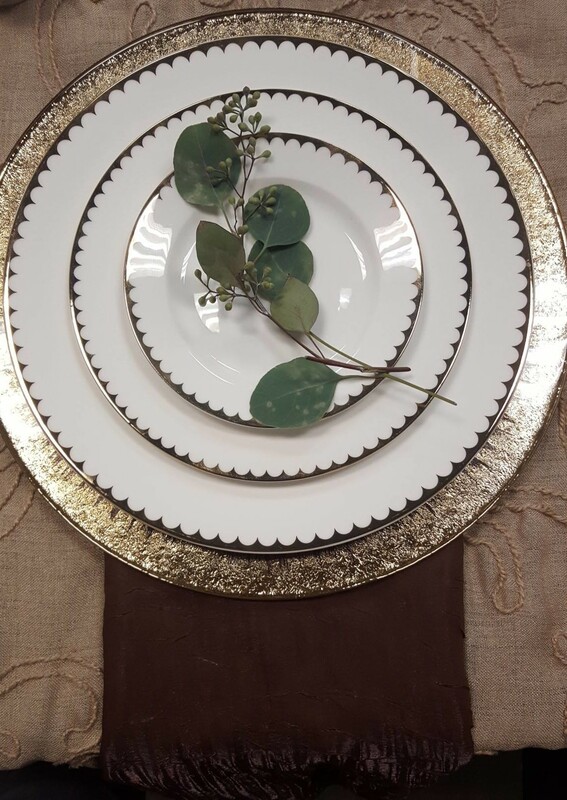 Pair with our fabulous gold orizzonte charger to add some sparkle to your dining table. 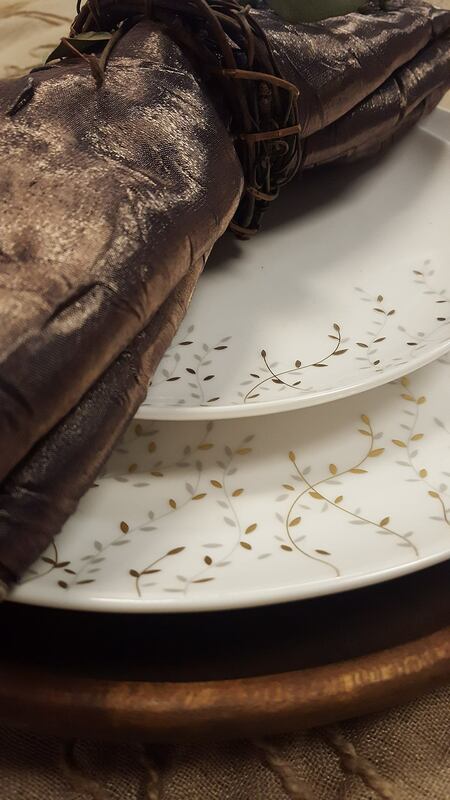 We love this mismatched layered look, and the details are exquisite. 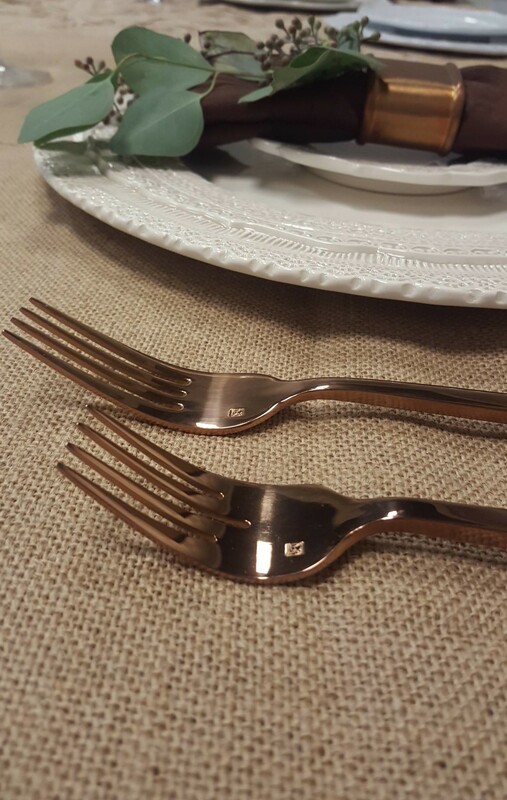 Hints of copper and rose gold bring sparkle and warmth to the table. 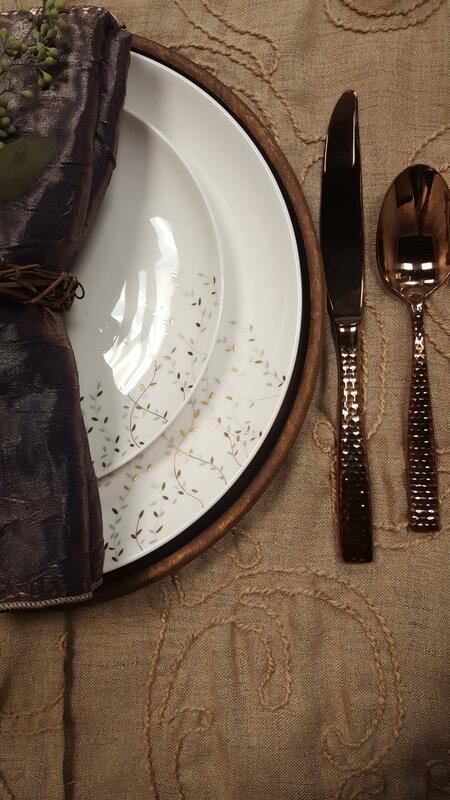 Find the perfect balance between Boho Chic and contemporary styles and let your table do the talking this Thanksgiving. 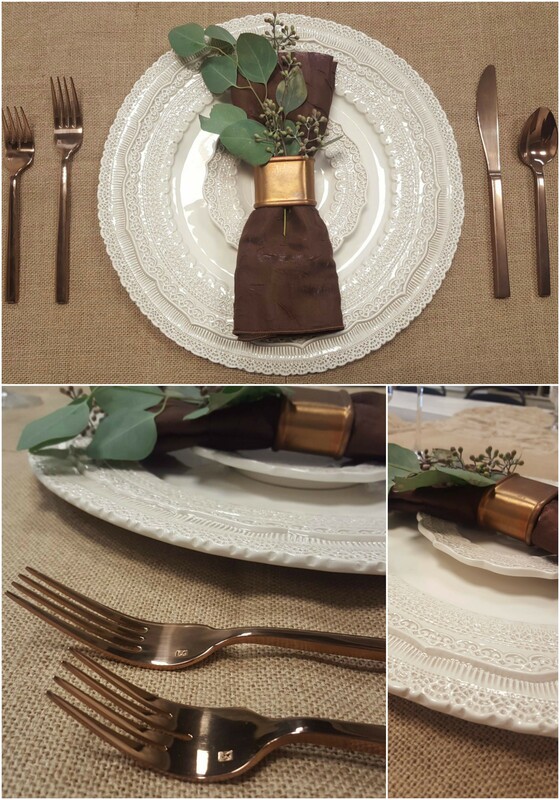 Whether it’s a holiday party, wedding or office event, get in touch today and let us create your dream tablescape!